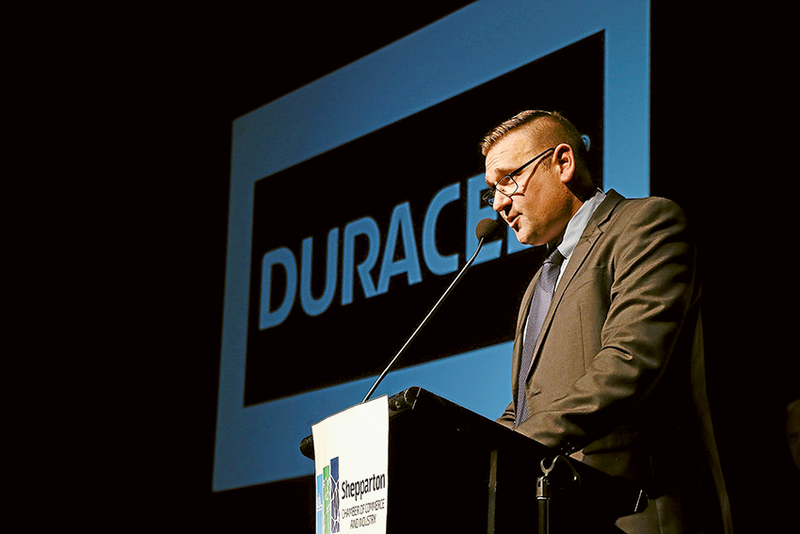 NEW DISTRIBUTORS FOR DURACELL ANNOUNCED AT BUSINESS AWARDS… White King-Pental export and New Zealand sales manager, David Turkovic announcing that Pental has secured a deal with US conglomerate, Berkshire Hathaway to be the new distributor for Duracell. Photo: David Lee. PENTAL products are already found in households across the world, but the local manufacturing company has just taken its dealings a step higher, securing a deal with US conglomerate, Berkshire Hathaway to be the new distributor for big brand, Duracell. Initially for a period of three years, the deal includes supplying Duracell products to stores such as Coles, Bunnings Warehouse, Target, IGA, FoodWorks, Priceline and Costco and other retailers across Australia and New Zealand. White King-Pental export and New Zealand sales manager, David Turkovic said, “Duracell being a multi-global brand and coming on board with us it means there is additional security to our site in Shepparton from a logistical point of view and building on our company strength.